‘Mahanati’ has emerged as one of those super successful films at the box office last year and it has a share of brilliant efforts coming from many people. While Keerthi Suresh rocked with her acting prowess, director Nag Ashwin did magic with his screenplay and direction. Then we have the likes of Mickey J Meyer bringing life to the scenes with tremendous compositions and lovely music. And there is another chief technician Dani Sanchez-Lopez, who happens to be the cinematographer of the movie . 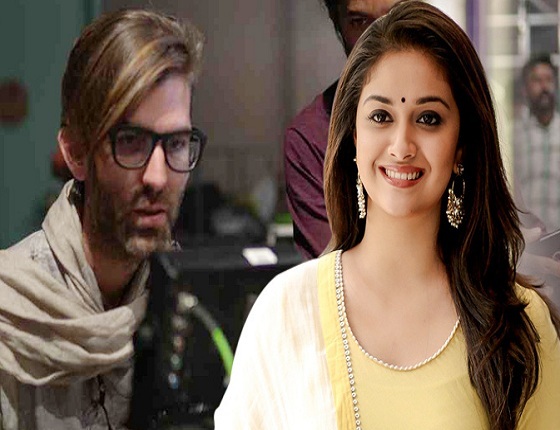 Needless to say how the visuals of the film are just extraordinary and now this technician has joined Keerthi’s latest film too. After a long gap post Mahanati or Mallu beauty has finally signed a female-centric movie to be directed by newcomer Narendra. Now, this film will have her Mahanati guy Dani aboard to thrill the audiences. To be shot from February 10th in Hyderabad, the combination of few cinematographers and heroines always stunned the audiences. Hope this will also do.